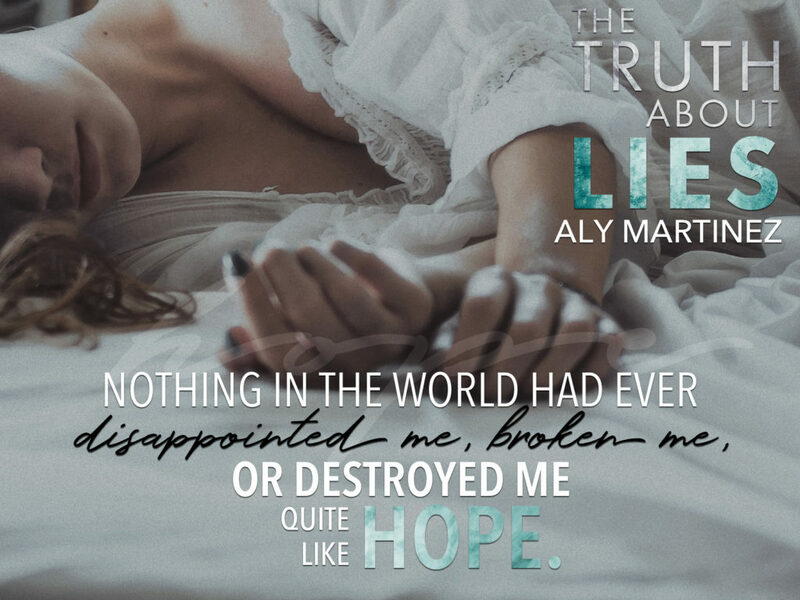 Today I am celebrating the release of the first book in The Truth Duet by Aly Martinez. 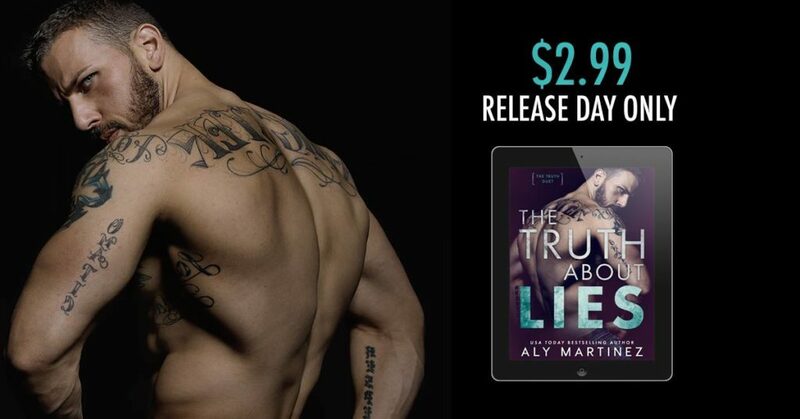 The Truth About Lies is now live and on sale for just $2.99 for today only! 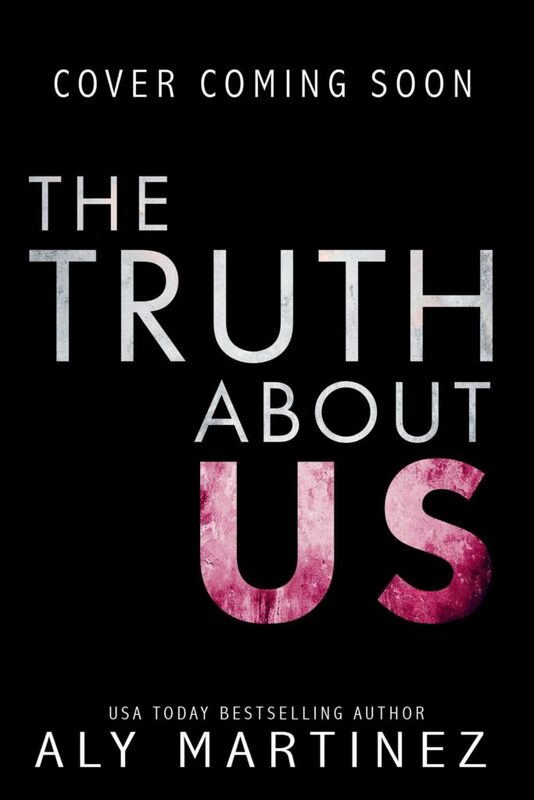 The second title in the duet, The Truth About Us, will be releasing on September 13th! You can pre-order it from Amazon now. Wow, just wow! 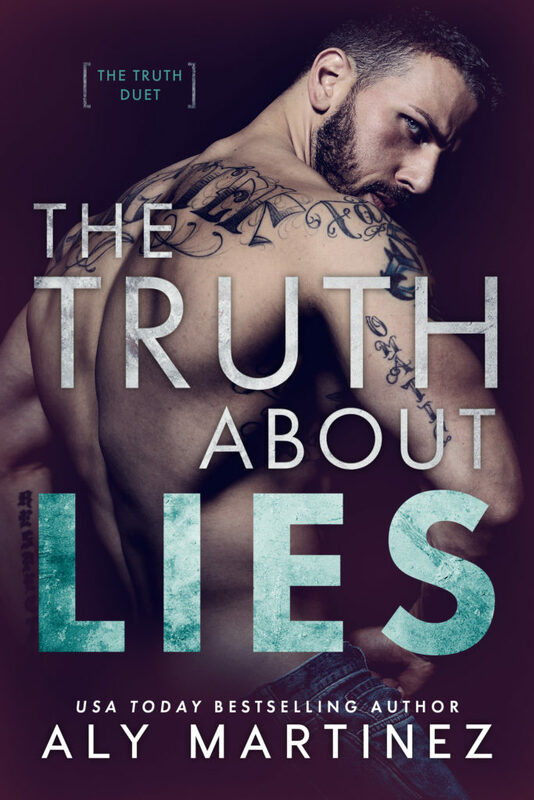 What a helluva first book in the Truth Duet. A new series by Ms. Martinez. This story will grab you from the prologue and you are not going to be able to put it down until the end. This is the story of Cora and Penn. But it’s also so much more. This story is gritty and harsh and heartfelt. It also funny and swoony and oh so hopeful. Or is it? It’s going to keep you guessing until the very end. And what an end it has! It’s going to make you count the days down until the second half comes out. Cora is strong, so strong and even with the situation she is in, she still finds humor and happiness wherever she can. She hold secrets so very close to her and she only truly trusts herself, until Penn comes into the picture. Penn is such a broken man, what he has gone through and what he has witnessed is something of nightmares. He has a plan and that plan goes sideways when he meets Cora. The mystery of this story and the small teases of information that Ms. Martinez gives us is amazing! This is a story you need to really read slowly, so you don’t miss the clues that she gives out. Like small bites of cupcakes that Cora enjoys so much. 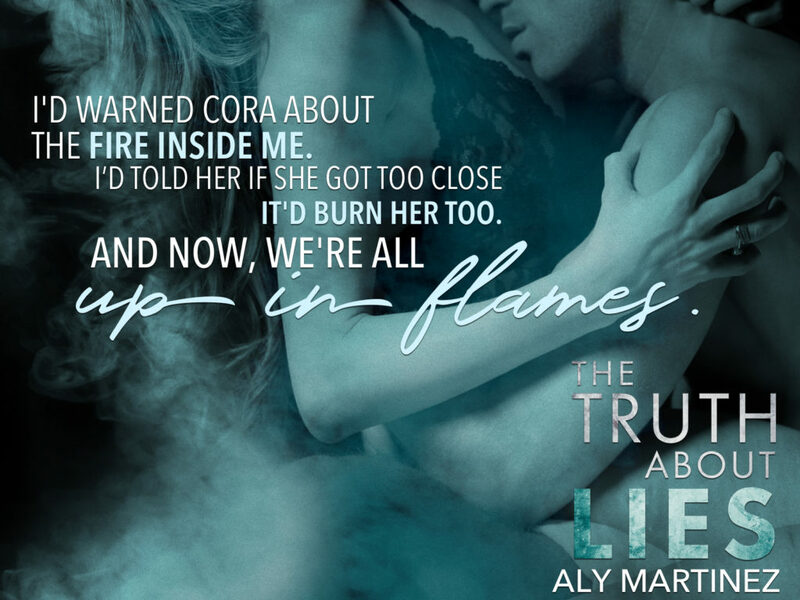 I will be waiting eagerly for the next book in this duet! The ending of this story is going to have you begging for more!